are featured for the 4th time on France Book Tours! 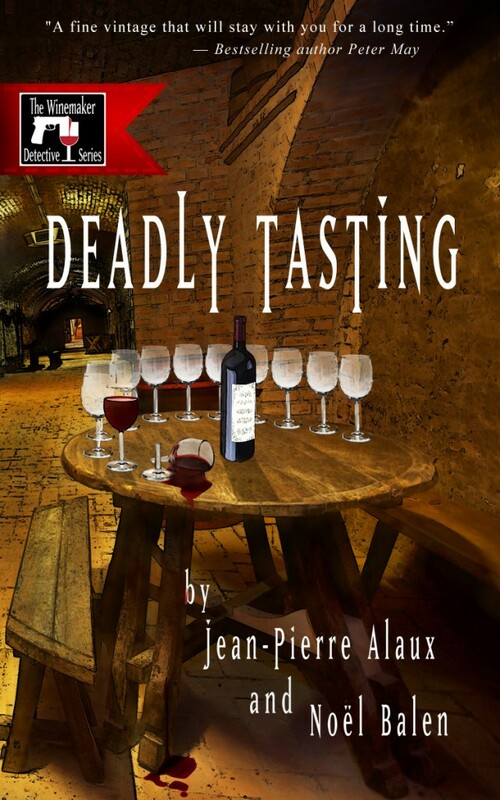 meet again the famous wine maker detective with this 4th volume! and recently won the Antonin Carême prize. which he writes with Noël Balen. and is now being translated into English by Le French Book. Translator Sally Pane studied French at State University of New York Oswego and the Sorbonne before receiving her Masters Degree in French Literature from the University of Colorado where she wrote Camus and the Americas: A Thematic Analysis of Three Works Based on His Journaux de Voyage. Her career includes more than twenty years of translating and teaching French and Italian at Berlitz and at Colorado University Boulder. She has worked in scientific, legal and literary translation; her literary translations include Operatic Arias; Singers Edition, and Reality and the Untheorizable by Clément Rosset. She also served as the interpreter for the government cabinet of Rwanda and translated for Dian Fossey’s Digit Fund. In addition to her passion for French, she has studied Italian at Colorado University, in Rome and in Siena. She lives in Boulder, Colorado with her husband. I like books by Georges Simenon. I just found an edition of one in French, that I am going to attempt to read. Wish we could get the TV show here!